Providing flexible printing from Android(TM), iOS(TM) and Windows(R), Linux(TM), Xamarin(TM), Cordova(TM), Chrome(TM) devices, the battery printer supports Auto-Bluetooth and WLAN connection via NFC for Android(TM) Smart Devices running on Android OS V3.1 or higher. To simplify printer setup further, BIXOLON\-\-s Android Q300 Utility Software application is available on the Google Store and provides exclusive setup compatibility with the SRP-Q300B, alongside Smart Connection(TM) supporting an easy Wi-Fi setup with iOS smart device. 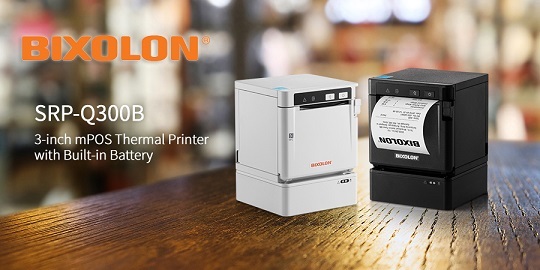 The NEW battery printer joins BIXOLON\-\-s comprehensive 3-inch (80mm) Direct Thermal cube printer series, alongside the SRP-QE300 entry-level printer with USB and Ethernet connectivity, plus 200mm/sec print speeds and 180dpi print resolution. Plus the SRP-Q300H, featuring an intelligent hub (B-gate), connecting up to 4 USB peripheral devices (scanner, cash drawer, customer display, RFID reader, scales, etc.) 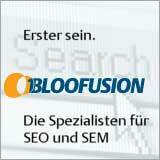 to the host tablet (via Bluetooth) and providing a single charging port.